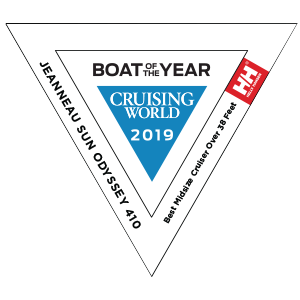 Winner of the 2019 Boat of the Year Award by Cruising World Magazine! 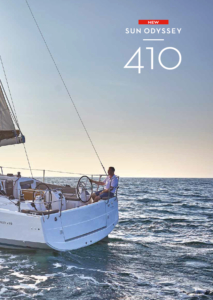 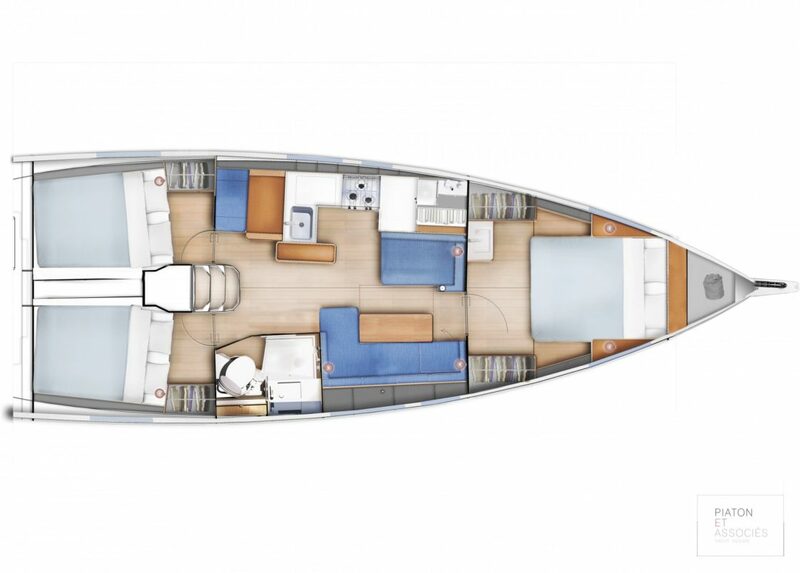 The 410 is the eighth generation of the Sun Odyssey model line and brings forth the same tried and true features of its predecessors, but with the latest technology and sailing innovations. 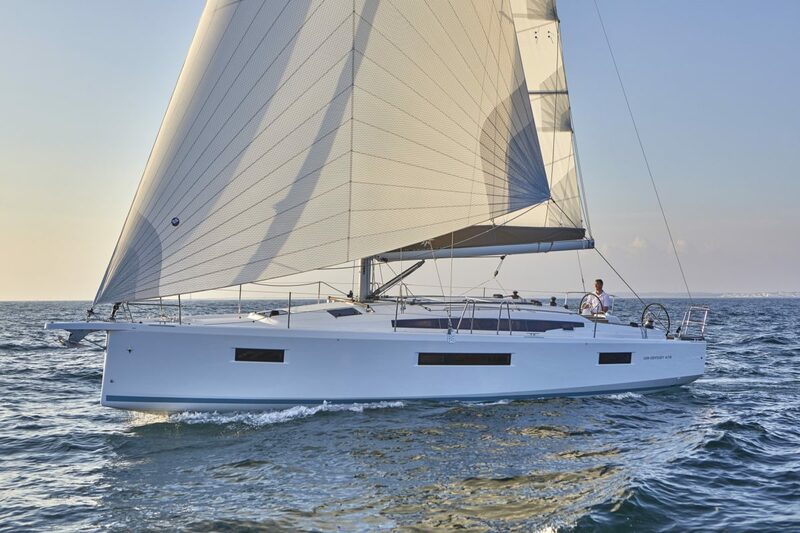 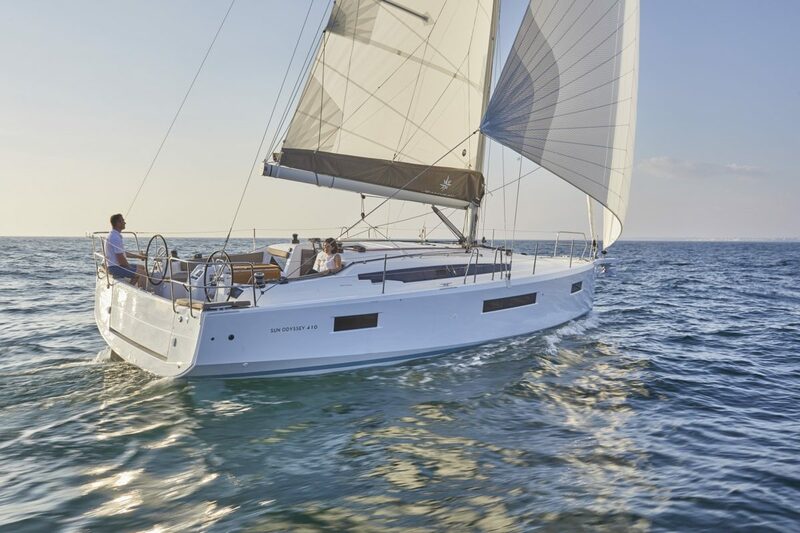 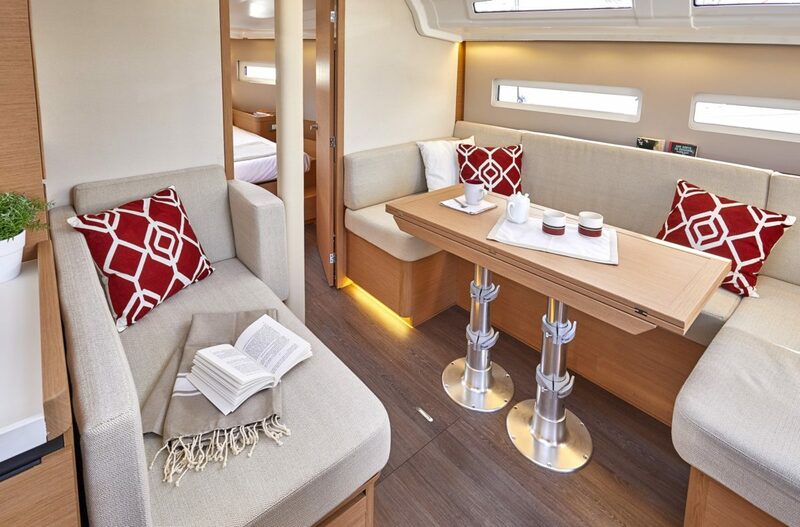 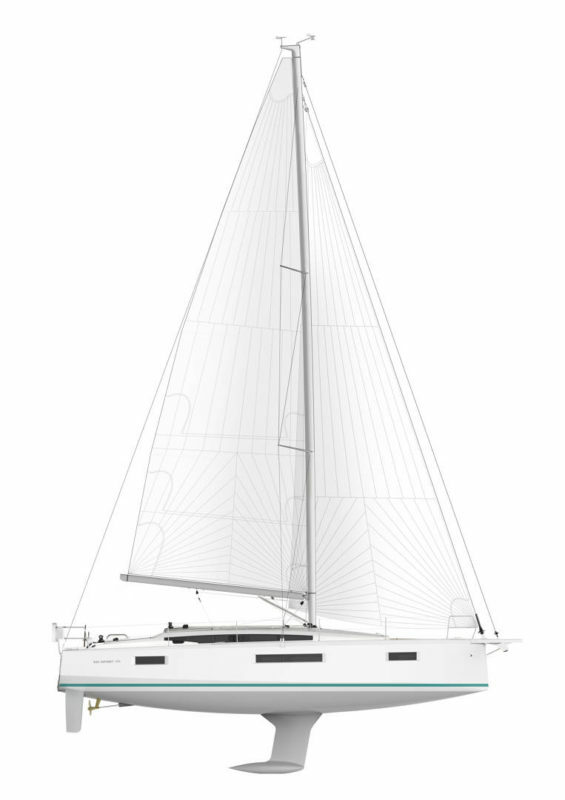 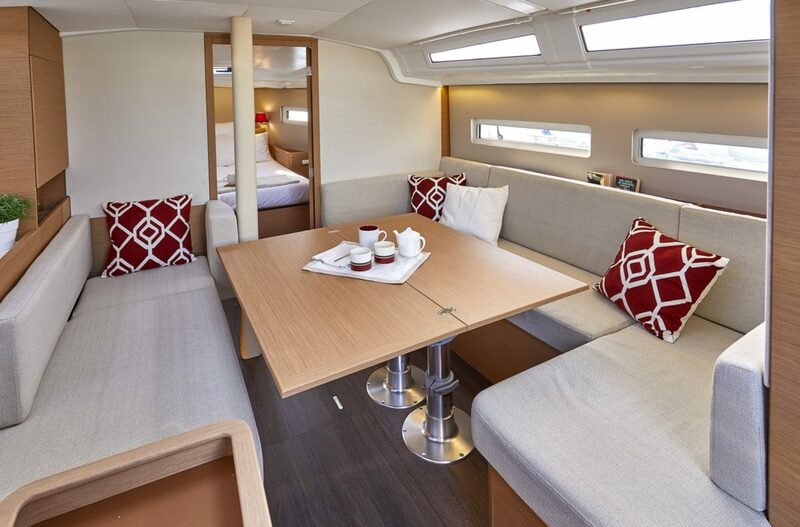 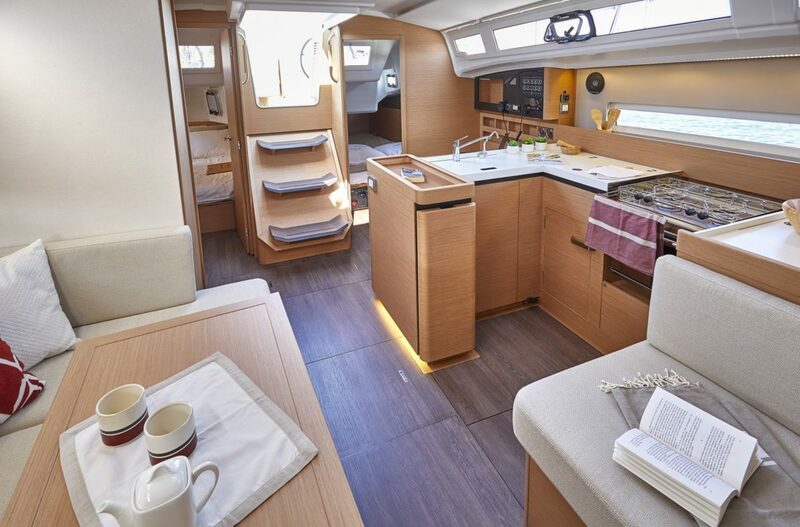 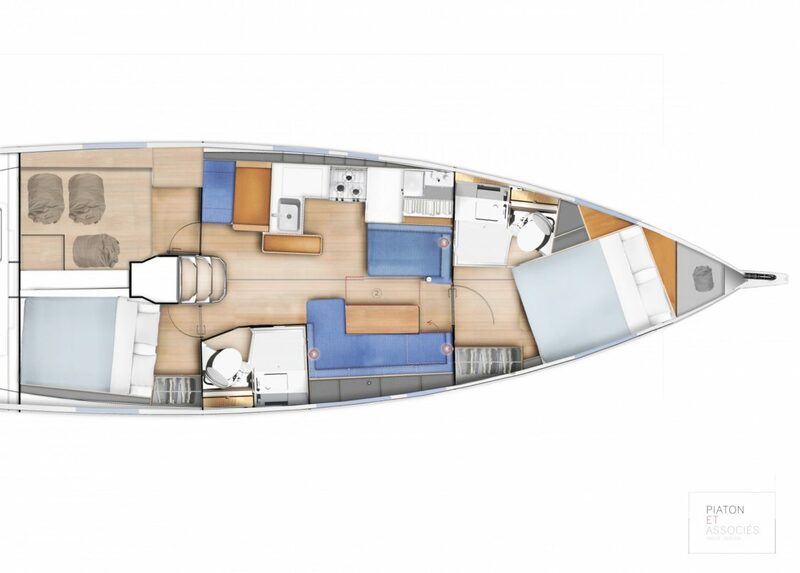 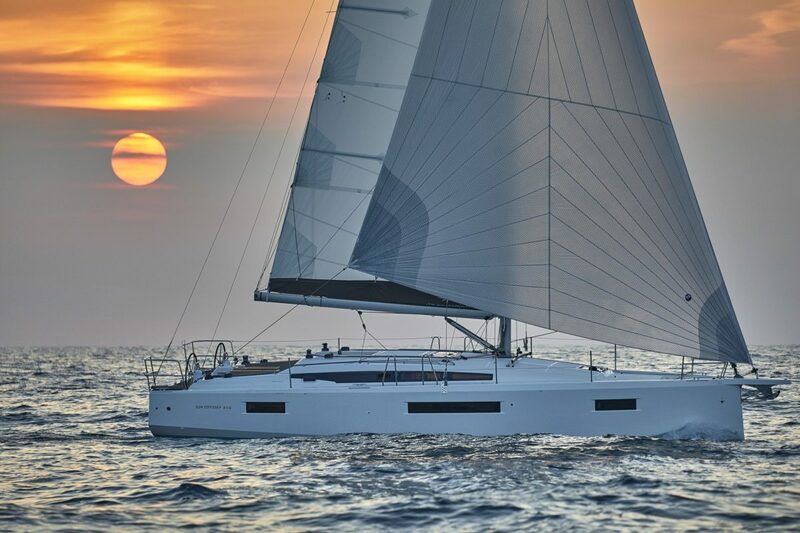 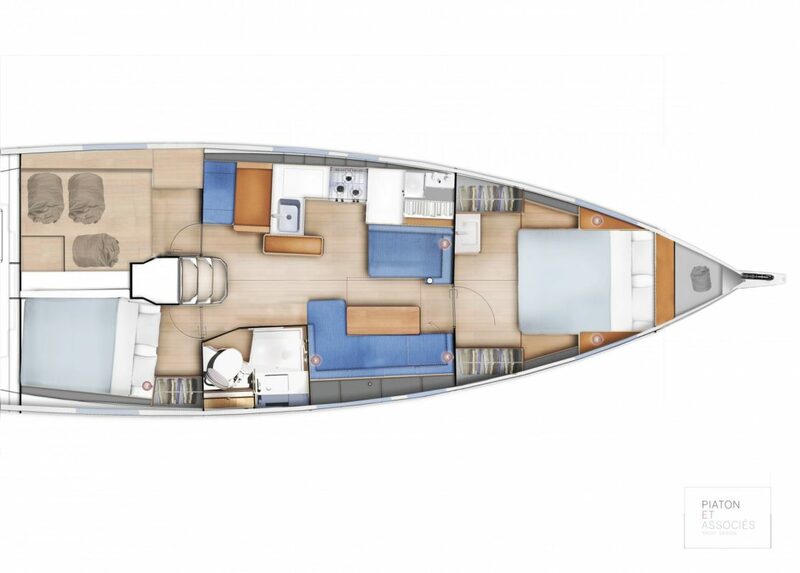 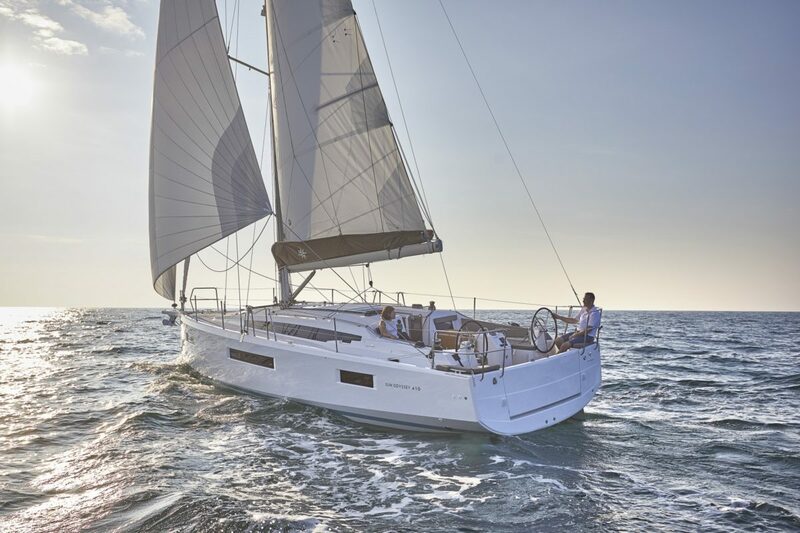 The Sun Odyssey 410 presents comfort aboard a 41-foot sailing monohull like never before. 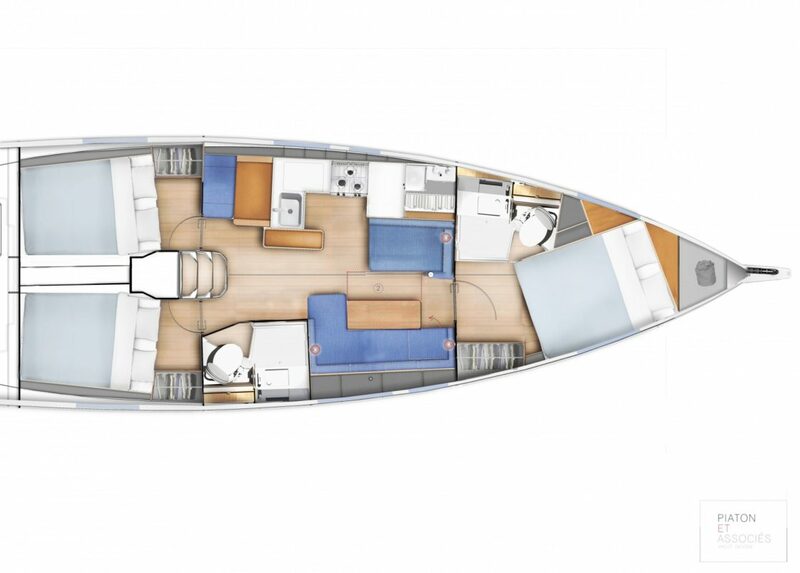 Easily maneuverable side decks allow for quick access to lounge areas. 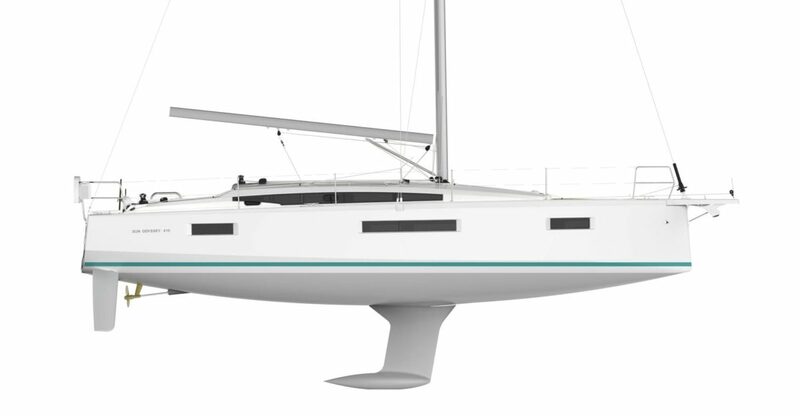 The captain will rejoice at the extra space in the sail area created by a lower boom, in addition to the centrally-located winches in the cockpit. 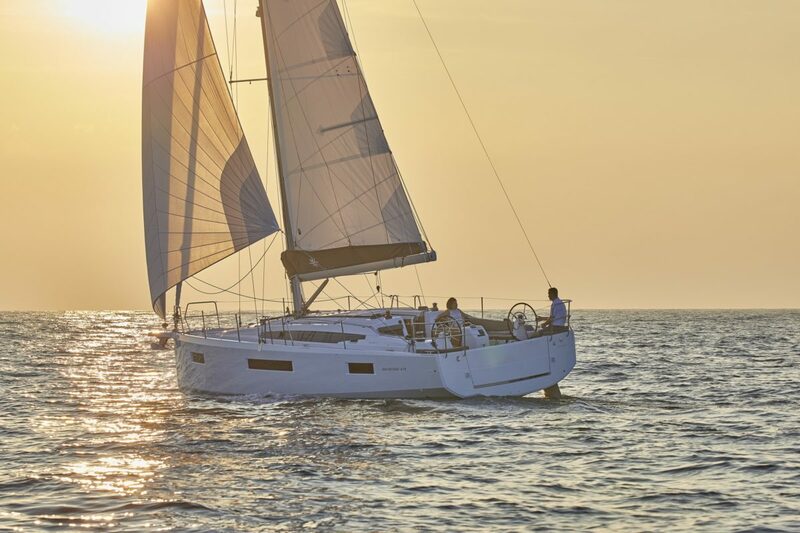 Exploring the open sea has never been so thrilling as with the Sun Odyssey 410’s powerful hull, perfect for navigating during calm and breezy days alike. 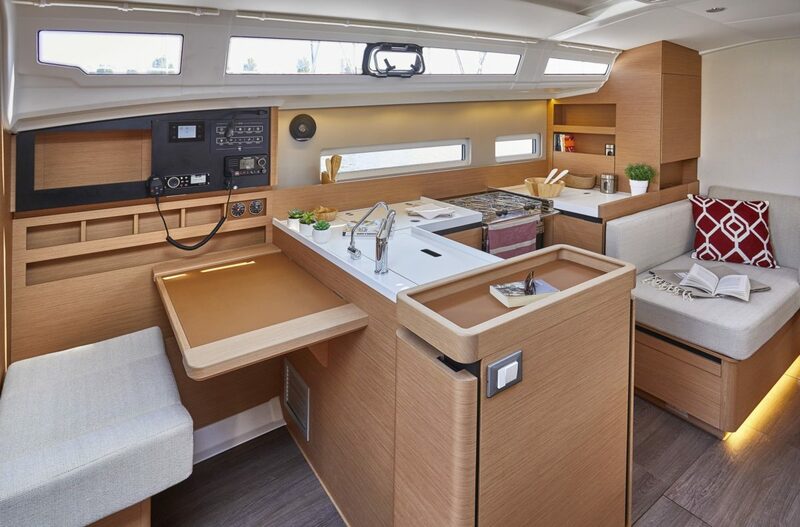 Holding true to the Sun Odyssey line, the 410 offers an interior dedicated to balance and comfort that takes advantage of every inch of space. 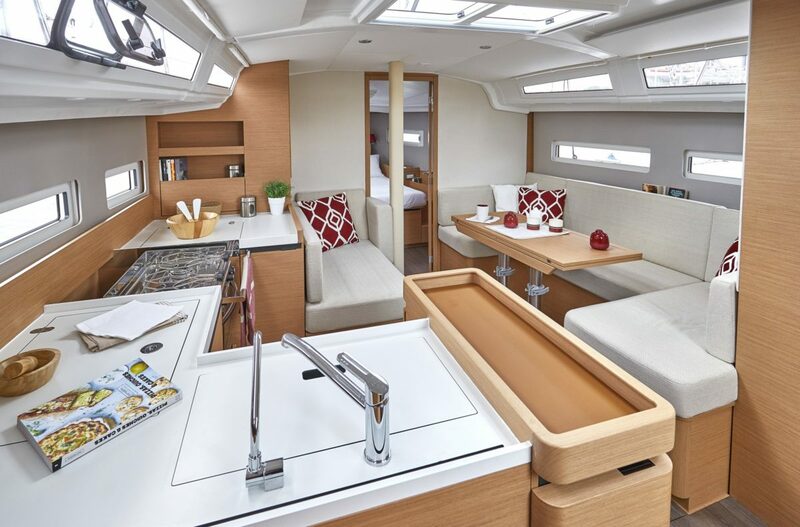 The galley offers a wonderful preparation area for meals aboard with close access to a seating and dining space. 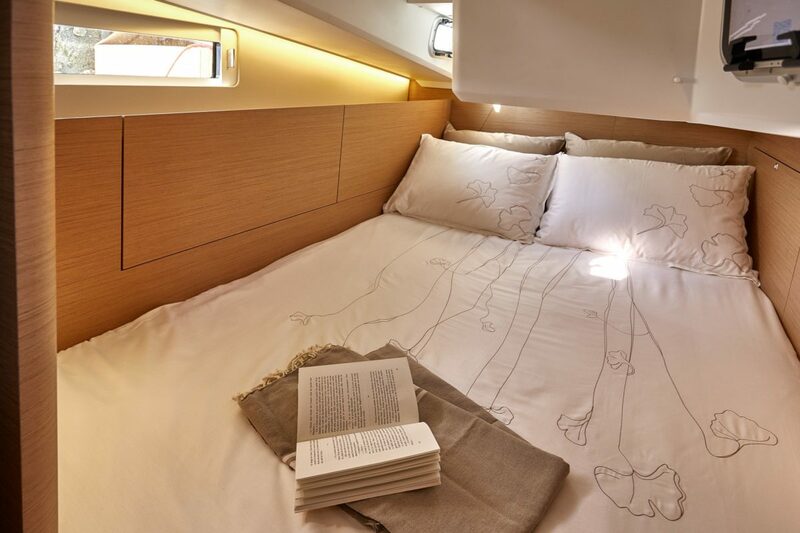 The elevated aesthetic and clever use of space is credited to designer Jean-Marc Piaton and his team.